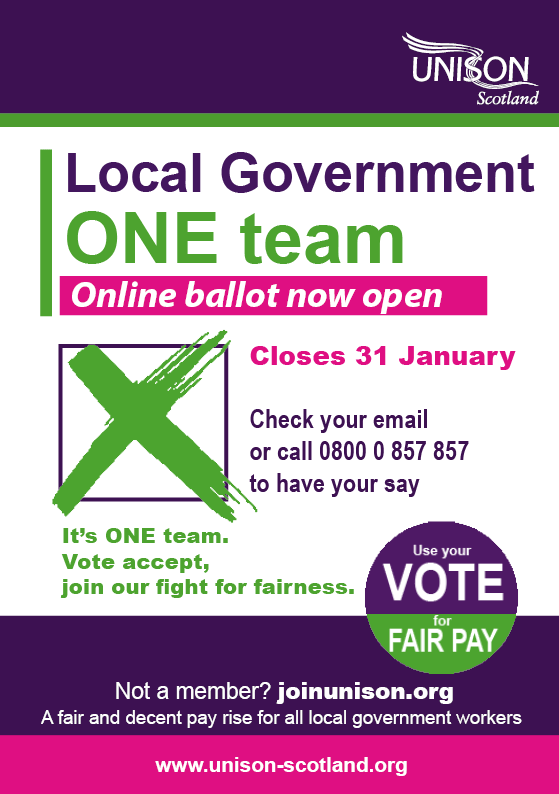 If you are a UNISON member and work in local government please make sure you have your say on pay by voting in the online pay ballot. 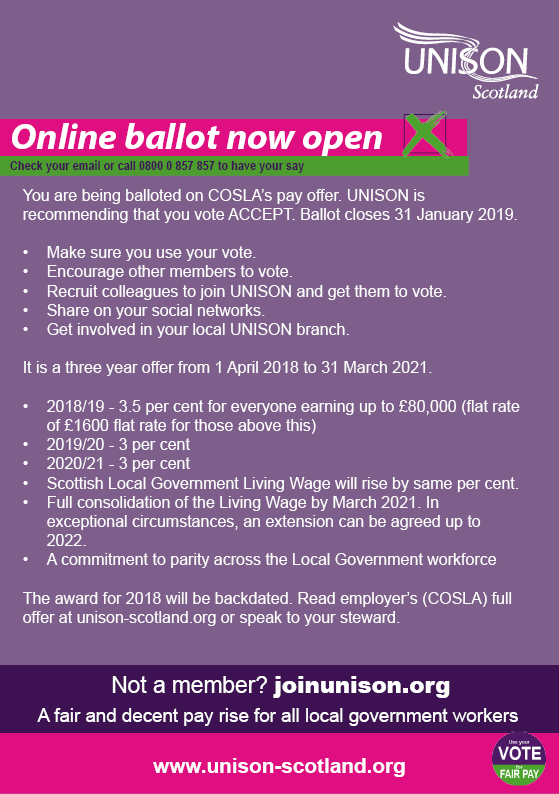 The ballot closes on 31st January and UNISON is recommending you vote to accept the pay offer. The offer is a 9.5% cost of living increase over 3 years: 3.5% for 2018-19, 3% for 2019-20 and 3% for 2020-21. (see full details here) In addition it provides a commitment to fully consolidating the living wage, putting more money in the pockets of lower paid council workers, something UNISON has been campaigning for, for years. If agreed the award for 2018 will be backdated to the 1 April 2018 application date. Click here for the video. Please make sure you use your vote; encourage other members to vote; recruit colleagues to join UNISON and get them to vote; share on your social media networks; and get involved in your local UNISON branch. Click here for posters and leaflets. Click here to see UNISON Scotland’s video showing how we achieved this offer. Previous Post:Cornerstone – Inducement Newsletter – IMPORTANT ACTIONS!